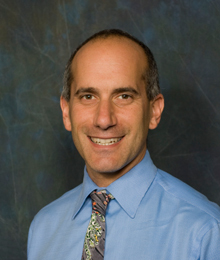 Dr. Steven Wexler is medical director of the Emergency Department at Day Kimball Hospital and national medical director for NES Health, a leading provider of emergency medicine management services and professionals. There has recently been a significant change in the way emergency medical responders in Connecticut treat patients suffering from cardiac arrest. The change comes as the result of new national recommendations on what produces the best outcomes for patients. It also marks the first time that uniform guidelines have been put in place for all EMS responders across the entire state. Until recently, when a person was suffering from cardiac arrest, EMS personnel would arrive at the scene and administer CPR for several minutes before transporting the patient to the nearest emergency department for further treatment. But since October, when these new guidelines were put in place, a paramedic will instead administer CCR - Continous Cardiocerebral Resuscitation - for up to 20 minutes, right at the scene. Medications like epinephrine and shocks from a defibrillator may be administered at the same time as well. The key difference between CPR and CCR is that while CPR relies on a combination of chest compressions and rescue breathing, CCR foregoes the rescue breaths in favor of continuous chest compression. This more closely mimics a natural heartbeat and ensures more consistent blood flow to both the heart and the brain, which improves survival rates and reduces the chance for negative side effects for survivors. This is also why it's so important to continue treatment right at the scene. Any pause in chest compressions, even to load and transport someone to the hospital, will likely have a negative effect on survival and outcomes. One study published by the Journal of the American Medical Association nearly 10 years ago showed the survival rate of patients who experienced cardiac arrest outside of the hospital setting tripled with the introduction of CCR. The technique is just now becoming widespread across the country. For bystanders or loved ones, it may be disconcerting at first when the patient is not quickly transported to the hospital. But it's important to understand that this new treatment protocol, along with the availability of medications and the defibrillator administered by highly trained paramedics, bring the exact same process and level of treatment that would be administered at the hospital right to the scene. The only difference is that now the patient is receiving that treatment much more quickly, which makes all the difference in the chances for survival.